Foods causing acne breakouts are abundant in our kitchen. We eat them every day not knowing that they are the primary causes of acne break out. It could be the food or the ingredients used in its preparation. Some foods react differently with different people. It is the reason why certain foods affect you but not the other person. Each person is different, what works better for you, may not work for me. I did not know that food was causing my breakout. My search for an acne cure took almost three years ,I was overwhelmed. People would stare at me, while others asked me what was wrong with my face, it was frustrating. Every solution I tried failed; acne moisturizers, lotions, and treatments, you name it, never worked. These so-called “solutions” would only work for a few weeks, and my acne would flare back. Acne made me feel embarrassed; I develop low self-esteem, felt unattractive and hated myself. I am no longer a teenager; I am in my 30 s, why would I have acne? I asked myself. Questions you could be asking yourself too. My pimples spread and developed into large, painful cysts all over my face. Each time, I would try to break them, (a mistake I regret doing then) with the intention of clearing them from my face. Little did I know that this only worsened my acne; I would develop large cyst and dark spots. Please do not try to break acne; you may have more breakouts. Let it heal by itself. One day a friend advised me to try and change my diet. She had a similar problem, but when she turned her diet, her acne cleared. My friend told me to eliminate; dairy products, sugar, some seafood, and chocolate from my diet. In addition to this, I was to drink much water and eat more organic fruits. 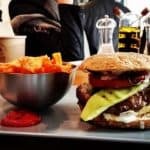 It was hard to eliminate this types of food, and it took me a long time to adjust to the new diet she had recommended. It was a struggle, but glad I stopped eating these foods. My face has never been this clear. Though I still have some dark spots on my face, my face has healed. Food was causing my acne breakout. I have made significant changes in my lifestyle especially about what I eat and apply on my face. In fact I make my own face moisturizer.Tried commercial moisturizers but they would make my skin too dry.My homemade moisturizer works well for me. Acne is an infectious inflammation on the skin surface that is as a result of infected sebaceous or oil glands and hair follicles. It causes swollen spots called pimples to appear on the face, neck, and chest. The oil or sebum produced combines with dirt and dead skin cells to cause blockage to the pores on the skin. Acne bacteria develop as a result making the skin irritated and itchy or painful. Acne can be triggered by food, dirt, stress, some drugs, cosmetics or it can be inherited. Certain foods triggered mine. Dairy products such as milk could be causing your acne breakout .Dairy contain growth hormones. These hormones may stimulate the oil glands in the body to produce more sebum and in turn, make the extra skin oily and cause acne. The protein found in dairy products such as whey release a hormone called IGF-1 which is similar to insulin. This hormone increases the production of oil on the skin. It also increases the release of insulin due to its high glycemic index thereby contributing to acne. IGF-1 also aids in the production of androgens (a hormone that stimulates the production of oil in the sebaceous gland in men) which may result in high sebum production and acne. Replace dairy products such as milk and cheese with milk and cheese from nuts such as cashew or almond. It may prevent more acne outbreak on your skin. Consuming cola and soft drinks quite often can cause acne breakout. Refined sugar is a crucial ingredient in most colas and soft drinks. Sugar contributes to the hormonal imbalance in the body. It can raise your insulin levels and as a result, cause acne break out. Most Cola and soft drinks lack fiber -an essential nutrient necessary for flushing out toxins from the body to prevent inflammation and clogged pores. According to foxnews.com, “dark colas contain advanced glycation end products, or AGEs,” these products together with sugar can irritate the skin. Cola and soft drinks also dehydrate and break down the collagen and elasticity of the skin. They make the skin more vulnerable to any irritants and aging. Drink natural juices, smoothies and plenty of water instead of cola and soft drinks. These will keep you more hydrated and will help flush out toxins. Coffee could be causing your acne breakouts .Drinking too much coffee causes acne breakouts. Coffee contains much caffeine which when consumed increases the release of the hormone androgen in the blood. Androgen can contribute to overproduction of body cells such as sebum which results in clogged pores. It also facilitates the release of cortisol- a stress hormone which can damage collagen on the skin and cause wrinkles. An increase in androgen production can cause a high output of sebum which can cause acne to break out. Coffee is also a diuretic (it removes excess water from the body) it dehydrates the necessary fluids from your body without replacing them. Drinking too much coffee can make your skin extra dry and age faster. Drink coffee in moderation but if possible eliminate it from your diet for a clear, and youthful skin. Can breakfast cereal cause acne break out ? Yes, they can. Most breakfast cereals belong to the high glycemic index food category. They can elevate your insulin or blood sugar levels. Most cereals have some hidden sugars in them. When eaten often, they can increase the release of different hormones in the body including the hormone responsible for the production of sebum on the skin hence cause acne. If you like cereals, buy the ones that are sugar-free. Avoid the genetically modified ones because they contain pesticides and artificial additives which can worsen your acne. Sweeten them with natural sugars such as fruits, honey or maple syrup. Some vegetable oils can cause acne breakout if used in excess. Most vegetable oils such as soy, canola, and cottonseed oil are genetically modified and can impact your immune system negatively. They can cause allergic reactions to the skin and weaken your immune response. Refined vegetable oils undergo extensive processes during their production that render them unfit for human consumption. Most of these oils are processed and bleached with dangerous chemicals. They also have artificial additives and preservatives that can interfere with your health. Avoid them even when the label reads organic. Excessive use of these oils contributes to an excessive increase in sebum production which can cause acne. Use healthy fats such as olive and nut oils such as; avocado oil, walnut, coconut and sesame oil in moderation instead. 6. 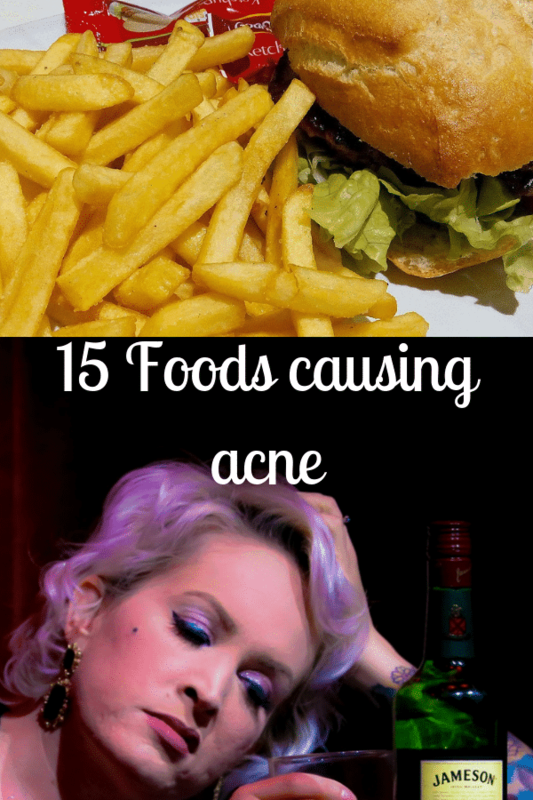 Fast foods causes acne breakout. These are some of the foods causing acne breakouts.Fast or junk foods such; as French fries, burgers, and nuggets are high in refined and processed sugars, salts, carbohydrates, and fats. They can increase the chances of you developing acne. 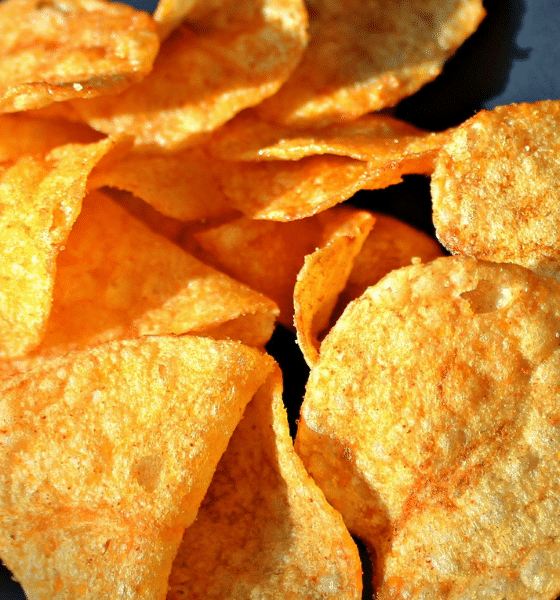 These foods are also made using trans-fat oils which can cause blockages to the skin pores. According to Dr. Varigos, these foods cause blood sugar to rise quickly and therefore contribute to a spike in insulin. Over consumption of fast foods can make the skin drier and thicker thus creating a perfect environment for acne. Stop eating junk food, not only do they affect your skin but are slowly killing you. Prepare healthy meals at home. The advantage of cooking at home is that; you cook using ingredients that are familiar to you. Cook your meals and you will be happy with the feel and radiance of your skin. These foods can cause acne breakouts.Sushi is a delicacy that most people enjoy, but did you know it can cause acne? White rice is the main ingredient in, and it is high in the glycemic index and can cause inflammation and acne. Both sushi and shellfish contain high amounts of iodine which can contribute to acne breakout in some people. The too much salt in these fish can dehydrate the skin and make it less radiant. Eat other fish rich in healthy omega -3 fatty acids such as salmon instead. Chocolate could be causing acne breakouts.It is a comfort snack for most people but it could cause acne for some people. I remember keeping a large packet of chocolate in my kitchen pantry and would eat as much as I needed. I would have a breakout afterward. Chocolate has refined sugars, coffee, dairy products like whey or milk and vegetable oils as its main ingredients. A high amount of these ingredients increase sebum production and makes the skin oilier. Too much sugar in chocolates causes premature aging of the skin too. Whenever you are buying chocolates, read the ingredients labels, learn what’s in it. Understanding the ingredient list will help you know what you are putting into your body and how they affect your health. Avoid chocolates with lots of sugar and dairy products such as whey because they can make you break out. Processed meats could be foods causing your acne.They contain growth hormones and antibiotics which may interfere with the natural production of hormones in your body. The chemicals added to preserve processed meats may also cause inflammation. Processed meat may damage the skin collagen, and make the skin age faster. If you are a meat lover, who cannot cut meat from his diet, go for the unprocessed grass-fed animal meat. Alcohol consumption can cause acne in some people since it tends to disrupt the hormonal balance in the body. It can also contribute to an imbalance in the testosterone and androgen levels hence cause acne. According to Hurly, alcohol causes inflammation to the tissues of the body and dilates the pores on the skin causing blackheads and whiteheads. Alcohol dehydrates your skin and decreases the level of antioxidants in the body. It makes your skin drier and more susceptible to damage from free radicals which aid in aging the skin. I like nuts especially peanuts, but I did not know they were causing my breakouts. When I stopped eating them, my face cleared. Peanuts contain androgen which if eaten can increase the production of sebum. Some peanuts may also contain aflatoxins, a toxin which develops in peanuts if stored poorly. Aflatoxin is toxic to the body and may impact your skin. You can replace peanuts with cashews or other nuts if they cause acne on your skin. Refined white flours are high in the glycemic index food category. They contribute to weight gain, an increase in blood sugar, inflammation, and skin problems like eczema and acne. Most of the refined flours contain gluten which promotes inflammation and elevates the IGF-1 (an insulin-like hormone) which can increase the production of sebum. Avoid refined flours and use whole grains instead but you can eliminate them all together if you are struggling with acne. There are healthy grain-free flours you can use alternatively. Artificial sweeteners and refined sugars are in a variety of food products such as; candy, sugar and sugar-free chocolate, ice cream, and some drugs. You may eat them without even knowing. 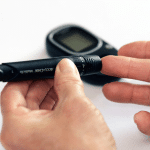 High amounts of refined sugar can cause a spike in insulin levels which can cause inflammation. They may contribute to the release of more sebum hence triggering acne breakout. The Inflammation breaks down collagen and the skin’s elasticity which results in wrinkles and sagging skin. Research has linked artificial sweeteners to most of the diseases such as cancer, skin disorders, and liver problems. They cause hormonal imbalance and acne among other issues. Artificial sweeteners can cause allergic reactions and skin irritations. Avoid them at all costs. Use natural sweeteners like; honey, molasses, stevia or maple syrup instead of artificial sweeteners and refined sugar. Yes eggs could be causing your acne breakouts.Eating Nonorganic eggs from poultry that are fed antibiotics and hormones can cause hormonal reactions and interfere with the bacterial balance in the body which may result in acne. There is not much research done on eggs causing acne, but some people have reported a reduction in acne outbreak after eliminating poultry from their diets. Probably more research will be done to show the link between eggs and acne. Supplements are not food, but we sometimes add them to our menu for their added nutritional benefits. Some supplements such as pure biotin can cause acne, especially when there is an imbalance between the vitamins B7 and B7. An excess intake of vitamin B12 and most multivitamins in the diet can cause acne. Replace your biotin and other multivitamin supplements for skin with other supplements that do not have biotin. I try to avoid Biotin supplement because it makes me break out. Create a journal of foods that could be triggering your acne and eliminate or reduce their consumption. Doing so helps you to keep track of foods contributing to acne. Try to avoid these foods or eat them sparingly and check whether you are experiencing any improvement. If your acne persists, then please consult a dermatologist because there could be other underlying cause of your acne. Could be a skin disorder or a medical condition.